B (for Benefit) Corporation is a certification program of B Lab. To qualify as a B Corp, a firm must have an explicit social or environmental mission, and a legally binding fiduciary responsibility to take into account the interests of workers, the community and the environment as well as its shareholders. In addition a B Corp must biannually complete a B Impact Report (a lengthy questionnaire that measures social and environmental impact), meet B-Lab’s comprehensive social and environmental performance standards and make that B Impact Report public. 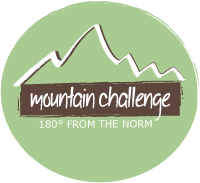 Scoring 108 points, Mountain Challenge became the third certified B Corporation in Tennessee. Mountain Challenge’s strict adherence to and belief in our First Principles, Supporting Principles, and 180 Degrees From the Norm has made it possible to become re-certified as a B Corporation for 2015-2017.